Just in time for the holiday season, the Carolina Voices MainStage Choir will be presenting the 60th anniversary of The Singing Christmas Tree. 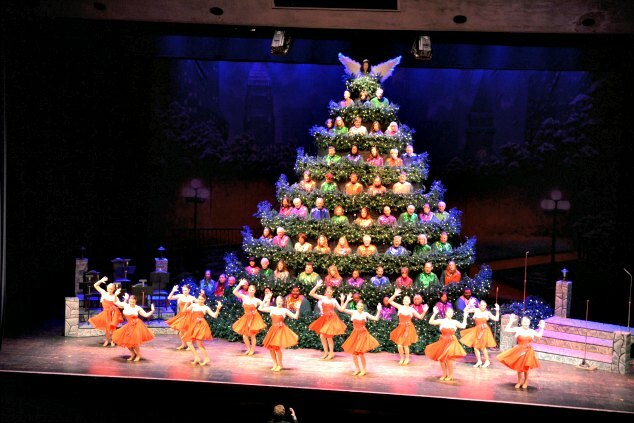 One of Charlotte’s grandest holiday traditions, led by Artistic Director Peter Leo, The Singing Christmas Tree will offer a glittering performance of music, song, dance, puppetry, and comedy. NPR’s Mike Collins, will join the cast as emcee this year, taking the audience on a rousing trip through past and present traditions while celebrating the joy of Christmas in the Carolinas. Making the rounds again are some of the audience’s favorite special guests, including The Grey Seal Puppets, Eddie Mabry Dancers, Caroline Keller and more. Guaranteed to lift your holiday spirits – this concert is one to share with family and friends! This years theme is “traditions.” Audiences can expect to be taken on a rousing trip through past and present holiday customs that reflect the joy of Christmas in the Carolinas. Attendees can look forward to listening to their favorite Christmas carols, such as Joy to the World, Carol of the Bells, Little Drummer Boy, and The First Noel; as well as popular holiday tunes, such as We Ned A Little Christmas, All I Want for Christmas Is You and more. Silent Night will be the closing song, continuing a beloved 60 year tradition. The Singing Christmas Tree was first produced in 1954 by Charlote Choral Society (later renamed Carolina Voices) on the steps of the Harry and Bryant funeral home on Providence Road. With Alice Berman directing, the singers sang outdoors on the steps of the building lined up in the shape of a Christmas tree. The performance was so popular, that the organization moved the production inside to Ovens Auditorium in 1995 and purchased a tree structure for the singers. 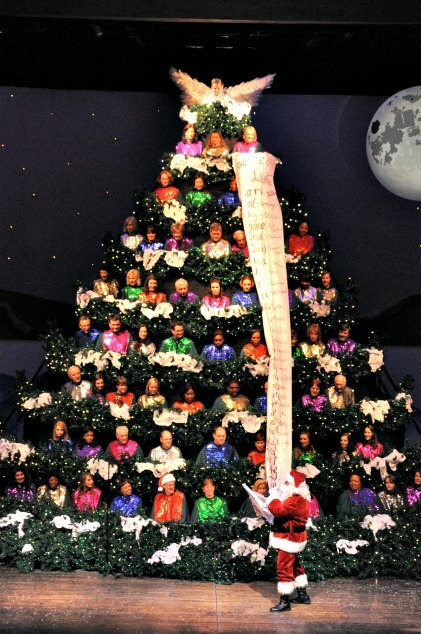 Today, the 32’ twinkling tree structure holds 90+ volunteer singers of Carolina Voices’ MainStage Choir. The original metal tree was replaced in 2004 with a more flexible and sturdier version for singers to stand on. Volunteer members from Carolina Voices put up the tree each year, attaching its branches and lights before the performances. Tom Griesmer, a long-time singer, has been overseeing the tree’s construction for more than 30 years. The 60th Annual Singing Christmas Tree will be held December 13 and December 14. Check the box office for available times and tickets. Grab a seat on the Polar Express as we get into the spirit of the season at this family-friendly show that includes rousing sing-a-longs, favorite kids holiday tunes, magical puppets, amazing dancers and, of course, a visit from Santa Claus. At just one hour in length, the show is perfect for children age 3 to 10 and offers parents a wonderful way to introduce young children to the arts!